In the mid-nineties, technology entrepreneurs and media pundits believed that the Internet was like television circa 1948: poised to burst forth as the next powerful entertainment medium. Billions of dollars and a string of wrecked companies and careers later, that vision remains Frustratingly unfulfilled. Taking the first penetrating look at the new media industry from the human perspective, Digital Babylon describes how the convergence of entertainment, media, and computer worlds went off track. 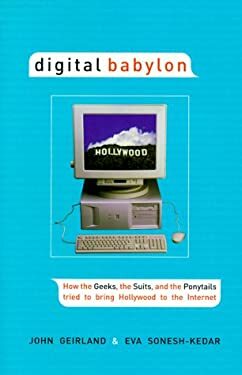 Based on hundreds of interviews with everyone From Hollywood power players like the late Brandon Tartikoff to netmoguls like Ted Leonsis to guerilla-style web producers like the creators of The Spot -- the first pure entertainment site on the web -- Digital Babylon describes the often turbulent collaboration among the technogeeks, media "ponytails", and corporate "suits" who are inventing the medium. Digital Babylon provides Fascinating and unprecedented insight into the convergence confusion we face at the dawn of the broadband era.